Physics needs more than a new'interpretation', how about valid definitions that actually describe things that are actually possible? 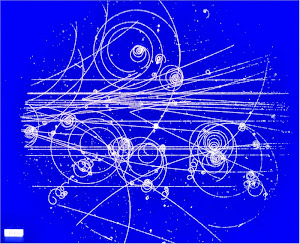 Start with using actual particles of finite measureable size that can interact when discussing photons, not purely mathematical 'point particles' which have about as much to do with actual things as imaginary singularities in flat endless, empty universes pretending to have gravitational influence on nothing... Ditching objects with no size and abandoning the singularity would be a good place to start cleaning this mess up. Telling Hawking he can't divide by zero and get infinity without flunking arithmetic would clean out the whole black hole community which has yet to actually find a black hole, much less agree on the properties of their numerous undefined fantasies. Physics is about the movement and interaction of things, actual things that exist and can be measured. Counting how many virtual angels can spontaneously dance on the head of a singularity in some other imagined universe is not physics in this one. 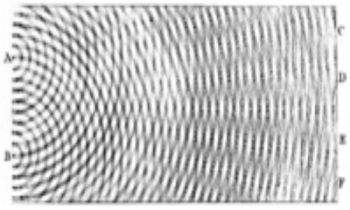 No experiment has been able to detect a nonzero size to a photon or electron. You make an excellent observation about the present state of the mainstream and experiment. It would also place experiment in contradiction with reality, since photons and electrons (two entirely different things, though often confused in many equations) interact with everything, including the receptors in your eye allowing you to read this blog and the nerves which transmit electrical impulses to your brain. A zero sized anything would not be able to interact with your cells of your body, or the world around you. As for the photon size, someone disagrees with the current popular interpretation of the data. You might consider "the radius of the messenger photon is 6.67 x 10-11 smaller than the radius of the hydrogen atom."